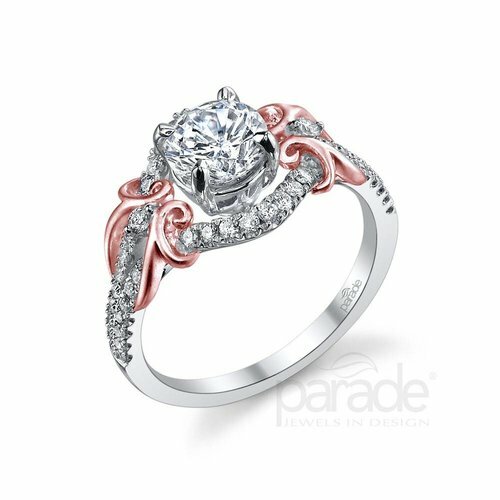 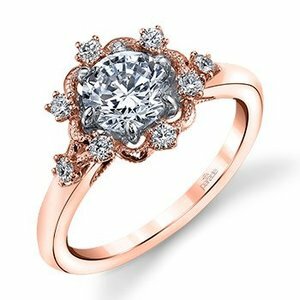 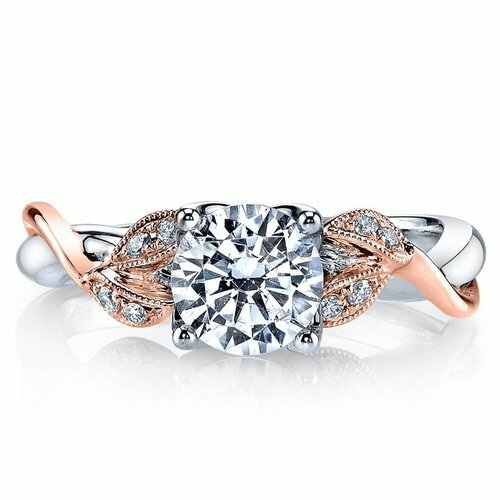 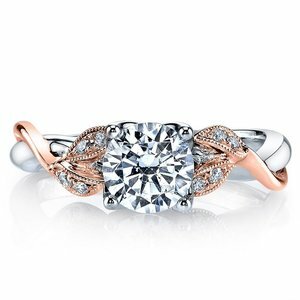 Flourishes of 18k Rose Gold Leaves Gracefully Adorn an 18k White Gold Engagement Ring Accentuating a Brilliant Centre Diamond in This Updated Look from the Lyria Collection. 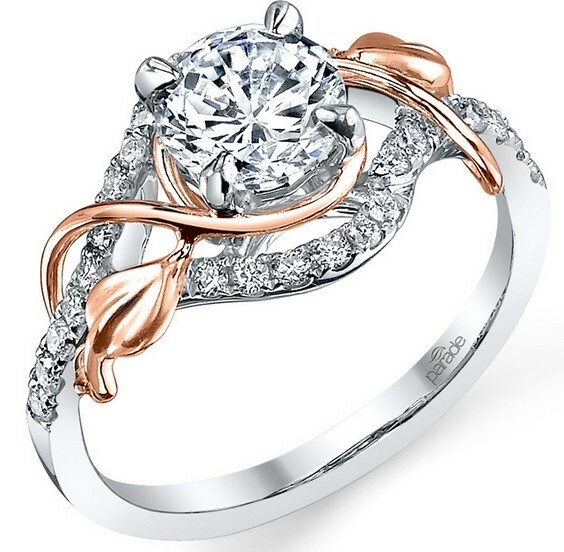 Available for Special Order in 14k or 18k White, Yellow, or Rose Gold, as Well as Platinum. 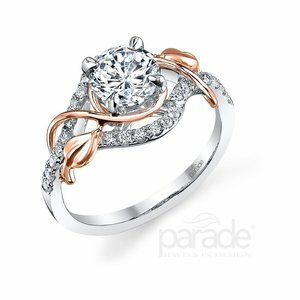 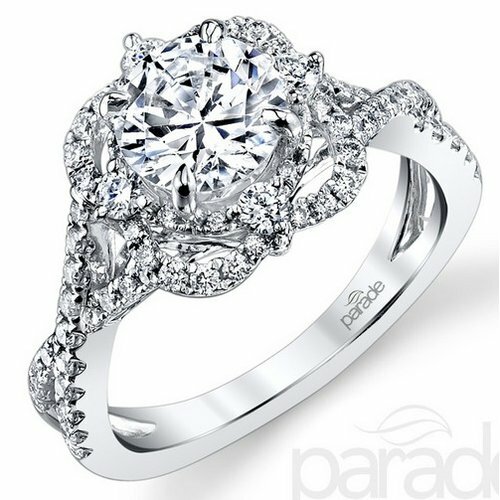 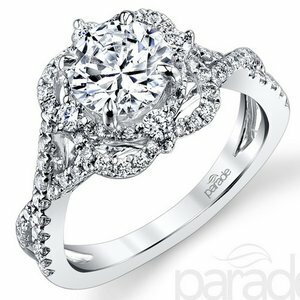 This Design Is Customizable to Accommodate Any Shape and Size of Centre Stone.